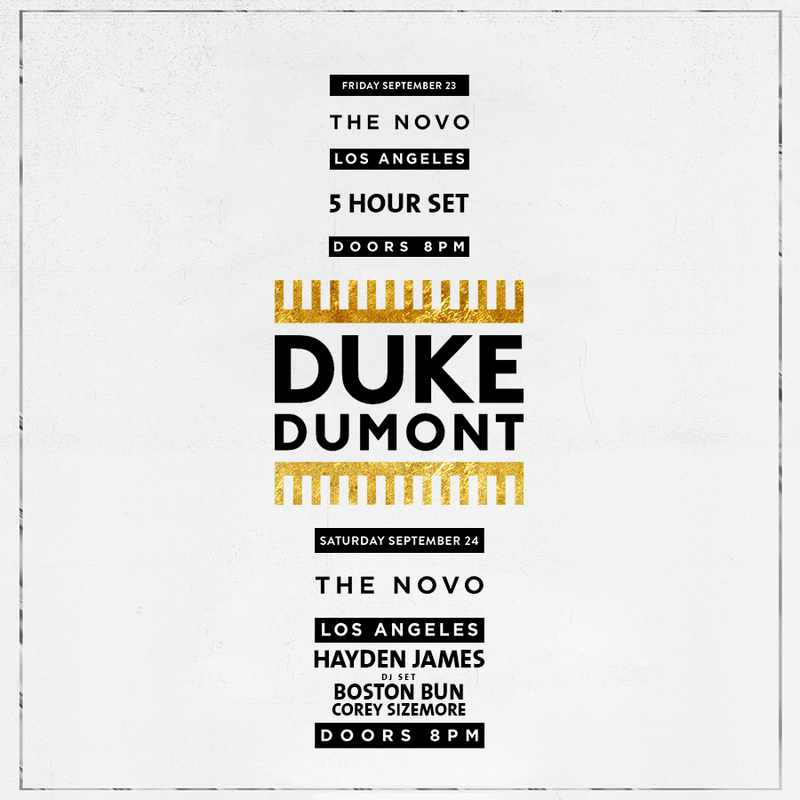 Duke Dumont will be performing two consecutive nights at The Novo, in downtown LA on September 23 and September 24. Friday night will be a 5 hour set and on Saturday will feature special guests Hayden James (DJ Set), Boston Bun and Corey Sizemore. Tickets for both events can be found here.